Which place do you often visit whenever you come to Bali? Most of you probably will answer Kuta. It is not surprising since this area is very popular among tourists. It has many facilities we can enjoy and places we can visit. 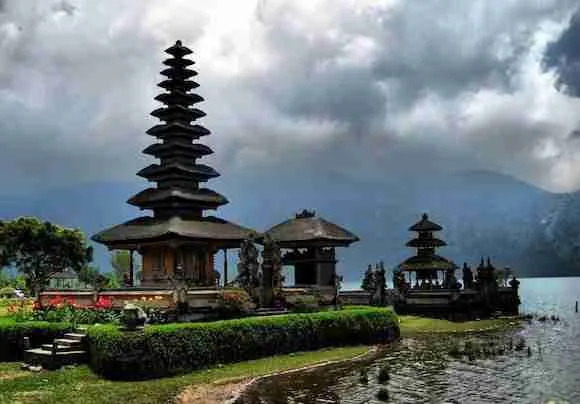 Checkout our travel tips to Bali and our travel guide to Bali before going. However, it might be boring if we keep visiting only the one place. That’s why we want to suggest to you to visit Sanur. Unlike Kuta which is always crowded, Sanur is a lot more peaceful. And, there are plenty of things to do in Sanur with your family and friends. As we have mentioned before, compared to Kuta, Sanur is more peaceful. There are not as many people around the beach. Hence, take the opportunity to relax and enjoy the beautiful ocean view. Since there are a few beaches in Sanur, you can choose the one that suits you the most. Depending on which place you choose, you might find some restaurants nearby to get food and drinks (or simply use the toilet). Some of you might have heard about the sea swings in Gili. Now you can enjoy the same thing at Sanur. It is in Mertasari at Dream Island Bali to be exact. You can either enjoy the swing with your companion or simply use it as the set of your Instagram photo. Of course the swings are not the only special thing in this place. The beach itself is quite popular for swimming with its beautiful scenery. If you are hungry, you can try to eat some food sold at the seashore. Don’t forget to visit the cottage along the seashore. This is also a great spot for photography. Do you like something scary? Then try to visit Taman Festival. This is actually supposed to be a large recreational park. Unfortunately, the construction was stopped and abandoned. As time goes by, it is turning into an old building and its condition is getting worse. 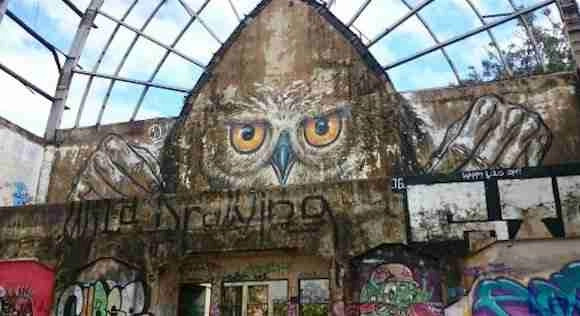 There is no roof at all and the walls are full of murals. It seems the building can collapse anytime soon. The local people consider this park as a “Ghost Town”. Besides the rumor about ghosts, there is also another story that said there might be one crocodile left in the building. Thus, you might want to stay away from crocodile cage as well as an old pond filled with black filthy water. There is one place you definitely have to visit in Sanur and that is Massimo. Located in Danau Tamblingan Street, this is a famous Italian restaurant that serves delightful cuisine. But, out of all menu, their gelato is the reason behind their fame. Here you can taste varieties tastes of homemade ice cream. This is a perfect treat when you want to cool yourself a bit from heat. If you want to visit a historical place in Sanur, there is no better spot than Blanjong Temple. In this temple, you will be able to see the Blanjong Pillar. This is the oldest artifact ever known in Bali dated from 914AD. This pillar is basically a Sanskrit inscription which has not been translated. It was believed to be a monument of victory fashioned during the first king of Bali, Sri Kesari Warmadewa. Of course this pillar is not the only thing to see in the temple. There are other relics as well like the sandstone statues of the Hindu Lord Ganesh and some animals. You may visit this national cultural heritage site on Danau Poso Street. Unlike Kuta, Sanur is not a good place for surfing as the sea is too calm. But, that does not mean you cannot do any sports here. Since the sea is calm, you can try canoeing or stand-up paddling. Water sports which are more challenging are also available here. For example, there is kite surfing and diving. Or, you might also want to try sea walking. This activity allows you to walk under the sea and enjoy the underwater view. Bali is quite famous for its cultivation of sea turtles. 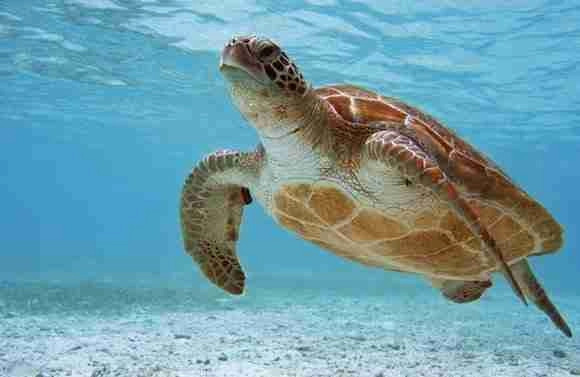 For those who love this animal, you can go to Turtle Conservation and Education Centre (TCEC). Situated on Serangan Island, it has been serving in hatching and nursing turtles. They also have been saving a lot of them which accidentally got caught by local fishermen. If they are not quite busy, the staff will offer a brief tour complete with educative information for public. Don’t forget to buy some merchandises from their souvenir shop. There are a lot of colorful and adorable things related to sea turtle there. Sanur has a very nice coastline to walk along the beach. There is a paved walkway at the edge of the sea that follows the beach. This is an ideal place for walking while enjoying the breeze and scenery of the sea. This is one of the more popular things to do in Sanur Bali. Stop by at a cafe or restaurant for refreshment whenever you are getting tired. From marine life, now we move to botany. 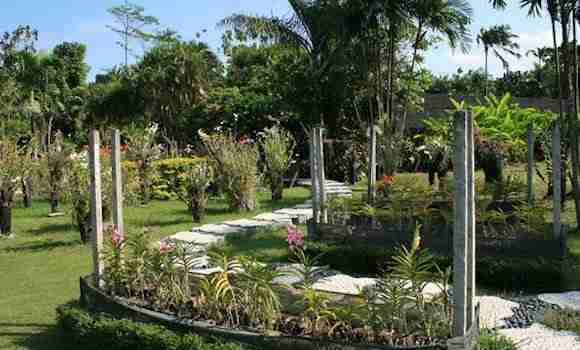 In Sanur, there is one place called Bali Orchid Garden. This is a perfect place for all flower lovers to come by. And, it is the only place of its kind that provides a tour for public. Once you enter the garden, you will see plenty of fresh and colorful flowers. Most of the species available here is orchid species. But, you can also admire other tropical plants such as heliconia, anthuriums, and also the famous rafflesia. When night has arrived, we suggest you to go to Sanur night market, which is Pasar Sindhu Night Market. Here is located one of the best local food markets in Bali. Make yourself full with their delicious local culinary. Martabak and satay are highly recommended. Sanur has a good variety of guest houses, hostels and hotels. 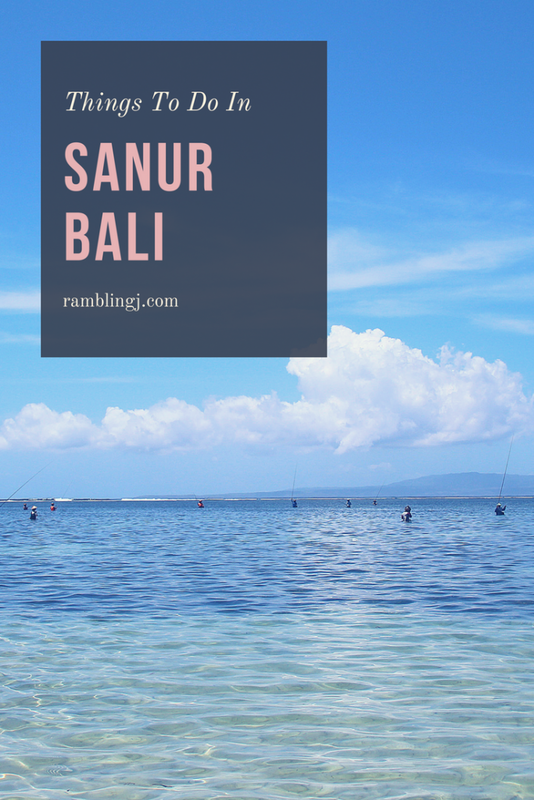 Here are a few places to check out and give you an idea of what is available in Sanur if you are planning to visit Sanur. This property is 3 minutes walk from the beach. Featuring stylish rooms and an outdoor pool, Maison Aurelia Sanur, Bali is set in the real heart of Sanur, 600 m from Sanur Beach. Free WiFi access. Rooms at Maison Aurelia are fitted with air conditioning and a flat-screen cable TV. Each room has an en suite bathroom, stocked with a hairdryer, bathrobe and free toiletries. Puri Mango Hotel is located in Sanur, a 5-minute walk from Sindhu Beach. Offering simple yet modern accommodation, it has a restaurant and free parking on site. Air-conditioned suites feature spacious interiors and have a TV with satellite channels. The en suite bathroom comes with a bathtub and hot shower facilities. This property is 2 minutes walk from the beach. Located in Sanur, Wisna House features free WiFi, and guests can enjoy a garden and a terrace. Some units are air-conditioned and include a terrace and/or a seating area with a flat-screen TV. Finally, as you can see, there are so many things to do in Sanur. And, the list above is only a few of them. There are some more activities which will excite you and your family or friends. And that’s it for now! 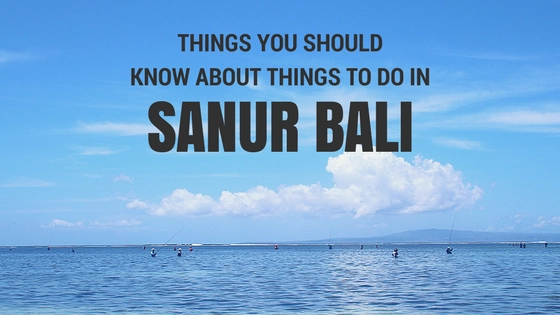 I’d love to know if this guide on the things to do in Sanur Bali has helped you. Let me know if you have any questions and let me know if you go too.